I love that saying and it’s perfect for the Noel Mignon Summer Camp Star Gazing Challenge. 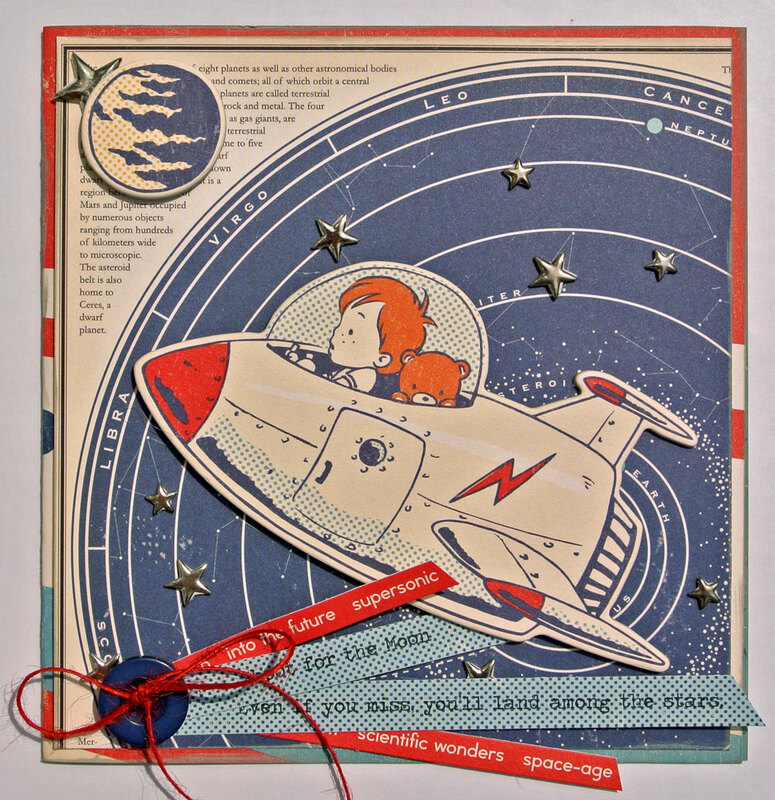 My original plan was to make a layout; however, as I gathered all my October Afternoon Rocket Man goodies I became obsessed with the little boy and teddy bear in the rocket ship. And so, my layout turned into a card. Even though my top layer is a map of the constellations I wanted my stars to shine and draw even more attention. I thought I had a pack of rhinestone stars, but in my search I came across these metal stud stars which I think work even better. Cute! I was just looking at this collection at the scrapbooking store today with my kids.